The day my life took an inevitable detour things got a little crazy. My name is Essalin Brant, but everyone calls me Essa. I attend a small college in a tiny town, and in my twenty-two years of life I’ve never even traveled outside the state of Pennsylvania. You could say my life is pretty boring. I live by the rules. I’m a good girl and nothing exciting ever happens. Enter Farren Shaw. Not only is he older and intimidating, but he’s more sure of himself than any 29-year-old man has a right to be. Did I mention that he’s drop-dead gorgeous? Well, he is. He also happens to be my best friend Haven’s brother. And I would be content with just fantasizing about Farren from afar, but when Haven suddenly goes missing, her gorgeous brother is the only one who believes me when I say she was abducted, even though all signs seem to suggest Haven left town willingly. I know better, though. As does Farren. So when he asks me to accompany him to search for his sister, I accept. That’s when the real adventure begins. Our quest to find Haven takes us across the country. And throughout the time we spend together, I find myself falling for Farren . . . falling hard. He’s everything I’ve ever wanted. But is he really someone I should fear? Because aside from making me feel things I’ve never felt before, Farren is hiding something. Something big. What could this stunning man be keeping from me? And why? Is Haven’s disappearance somehow connected to his mysterious job? All I know is that things are about to get real. Welcome to the Inevitable Detour that has become my life. S.R. 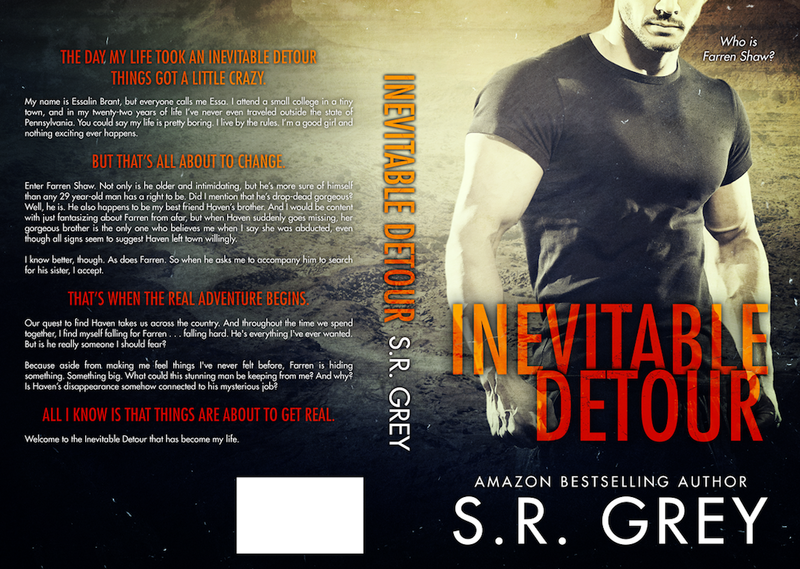 Grey is an Amazon and Barnes & Noble Top 100 bestselling author. Harbour Falls, Willow Point, and Wickingham Way are novels in her completed Harbour Falls Mystery trilogy. She is also the author of New Adult novels I Stand Before You (Judge Me Not #1) and Never Doubt Me (Judge Me Not #2). Ms. Grey's novels have appeared on Amazon and Barnes & Noble bestseller lists in multiple categories. 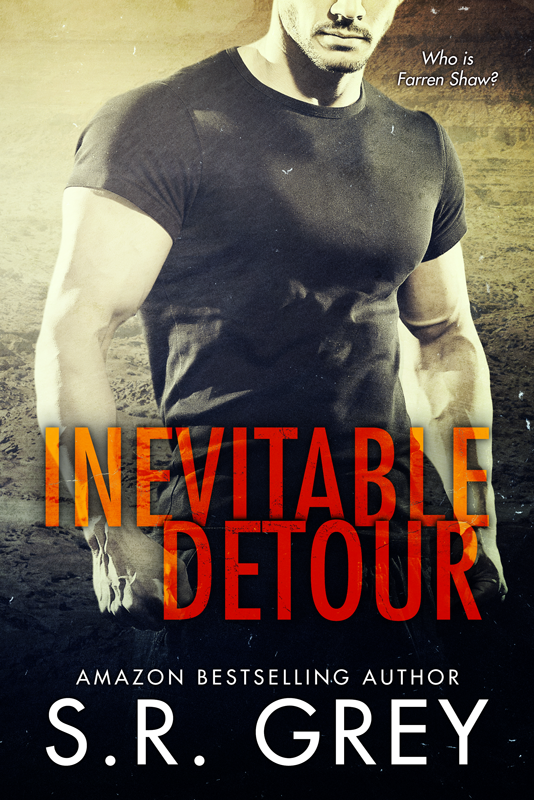 New novels slated for publication in 2014 are Inevitable Detour, a New Adult novel with a Romantic Suspense edge, as well as Just Let Me Love You (Judge Me Not #3). Ms. Grey resides in western Pennsylvania. She has a Bachelor of Science in Business Administration degree, as well as an MBA. Her background may be in business, but her true passion lies in writing. When not writing, Ms. Grey can be found reading, traveling, running, or cheering for her hometown sports teams.